European cars and vehicles have always been known for their craftsmanship. The vehicles of today not only have a complex transmission, they have complex computer-controlled systems that are critical to their handling and operation. Japanese cars have long been favorites of American drivers with Honda and Toyota as top contenders. We have the latest technology and equipment to repair the transmissions in the all model vehicles, domestic and foreign. We are an ASE certified shop specializing in automatic and manual transmissions. We service all domestic manufacturers including Ford, Chevy, Dodge, GM, and Chrysler. Repairing a Hybrid requires a comprehensive knowledge of combustion engines, electrical motors and the specialized transmissions used in these vehicles. Given the various engines and drive train configurations, it’s a job we can handle at Denver Transmission. If your transmission is beginning to slip, clunk, bang, or grind, or if you no longer have a first gear, can’t get your car into park, it doesn’t engage, or your vehicle doesn’t shift properly, you need the low-volume, high-quality services of Denver Transmission. We specialize in transmissions and drivetrains – it is our ONLY business so we maintain the expertise to get the job done right — the first time and every time. We service every make and model of vehicle and will provide a FREE estimate. Our automotive specialists will work to get your vehicle back up and running with your complete satisfaction being our first priority. At Denver Transmission, we work hard to not only provide you with excellent service, but also to make sure every transmission specialist is properly trained. Our specialists are handpicked and focused to give the best service possible to the Denver Metro area. When you call us you will never talk to a salesman – you always talk to a mechanic. The way we keep your costs down is by rebuilding your transmission. We inspect the transmission for reason of falure, all other parts, and what kind of updates are there to make the transmission better. This is where we have an advantage over a Dealer transmission, they can only make it as good as it was, We can make it better. This is how we can offer a TWO-YEAR Unlimited mile warranty on our transmissions. To all my loyal customers, unfortunately all we do is Transmissions, Clutchs, CV axles, Transfer cases, and Differentials. However we do repair transmissions for some very good General Repair shops around town. If you have another problem feel free to call and we can refer you a shop that will take care of you. We have ASE certified technicians that specialize in transmissions, we also are very active in continuing education, ATRA and ATSG seminars along with classes from companies like Valve Body Express help keep use on top of the latest technologies. Along with the know how, we also invest in the diagnostic equipment to fix your vehicle correctly. Today’s transmissions have very sophisticated computer systems that learn as you drive them to adjust for wear and driving characteristics. Once you rebuild or repair a transmission you need the equipment to reset the computer; we have that equipment. I took my truck to Denver Transmission & Drivetrain for diagnostics after hearing a noise coming from the transmission 1 day prior to leaving on vacation to Arizona. I just had the transmission serviced months prior by a local car dealership. The diagnostics determined that I was going to have transmission failure that was probably going to happen during my trip. The owner of Denver Transmission put in the extra hours and was able to rebuild my transmission and get me on the road to leave on-time for Arizona the next night. They did the repair at no additional cost for the overnight turn around. Denver Transmission went the extra mile to repair my vehicle and did it at a low cost. I made the trip to and from Arizona pulling a 20′ trailer with a car on it with no problems. 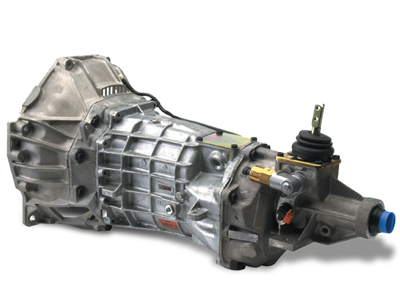 Denver Transmission & Drivetrain has great knowledge, service, and reliablility at a affordable cost. I want to thank you so much for doing such a great job on my old (1999) Subaru Outback. Your rebuilt transmission works like a charm. It immediately goes into Drive, which had been a problem for years. I also can’t believe how much better my highway gas mileage is. I hadn’t realized that was an issue as well. So thanks again for your excellent work, and for charging a fair price. I will definitely recommend you to anyone who needs transmission work.